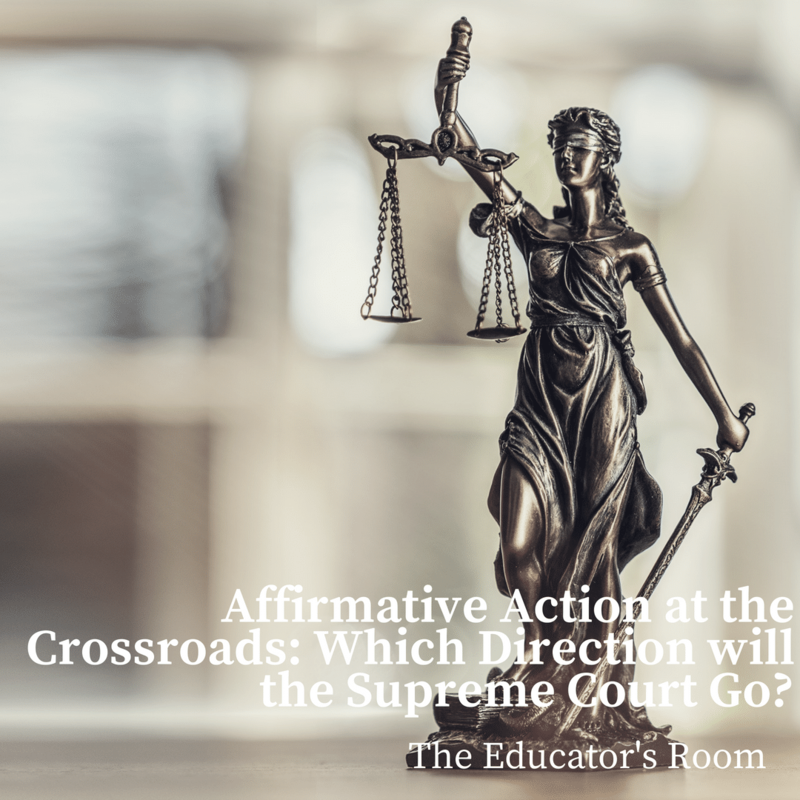 Affirmative Action at the Crossroads: Which Direction will the Supreme Court Go? Affirmative Action: Remedy or Racist? Recent actions by the Trump Administration and the pending resignation of Anthony Kennedy from the Supreme Court have brought into question the status of affirmative action, the set of federal policies instituted by John F. Kennedy to counteract centuries of discrimination against specific minorities in American society. Affirmative action was developed and has evolved in academia and in business as a way of promoting African-American, female, and other members of minority groups in order to compensate for discriminatory practices, especially in the segregated South. The Trump Administration’s Justice Department has reversed Obama-era guidelines in terms of college placement for minorities. Moreover, the Supreme Court has slowly chipped away at protections for minority groups that were enshrined in the landmark 1978 Regents of the University of California v. Bakke. With the chances of a conservative nominee replacing Justice Kennedy, who was often seen as a swing vote on the Supreme Court, appearing to be very high, the protections offered by affirmative action in the United States appear to be very much in doubt. For those who have opposed affirmative action as a form of reverse discrimination stemming from a race-based quota system, the appointment of a justice who will end the practice will restore a sense of balance for those who might suffer as a result of the policy’s potential for reverse racism. Race-based discrimination in the United States has its roots in the system of slavery that was established in the antebellum South. Blacks in northern cities fared little better as they were forced to tolerate de facto segregation in education rather than the de jure (by law) segregation that governed the former Confederate territories. Pre-war “black codes” were codified into “Jim Crow” segregation that was upheld by the Supreme Court’s 1896 Plessy vs. Ferguson decision, affirming the standard of “separate but equal.” Not until 1954 was segregation in America’s school ruled unconstitutional in the landmark 9-0 Brown vs. Board of Education of Topeka decision, but overcoming the legacy of racial prejudice, segregation, and discrimination would prove a much bigger challenge. The challenge for college administrators who are aware of white privilege and who want to be fair in college placements is that the Trump Administration has removed all Obama era guidance in making decisions on minority placement. The Supreme Court tends to stay with the decisions that have laid the groundwork in jurisprudence, a concept known as stare decisis. It holds that precedent should be used as a guide for later decisions to ensure consistency and fairness. But the Supreme Court has overturned precedence before, as the Brown vs. Board of Education decision demonstrated. Therefore, a Trump Supreme Court nominee may be willing to join the conservative majority in completely abandoning any race-based considerations when dealing with college placement and employment. Just as it did with the Voting Rights Act, the Supreme Court may see the time period of racial prejudice as having passed, and future minority applicants will have to be placed solely on merit with no attempt to make up for centuries of past discrimination.